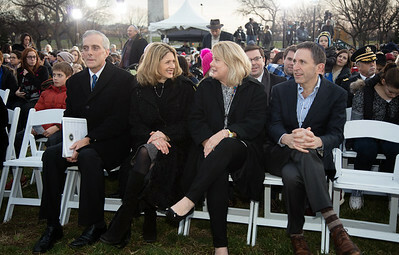 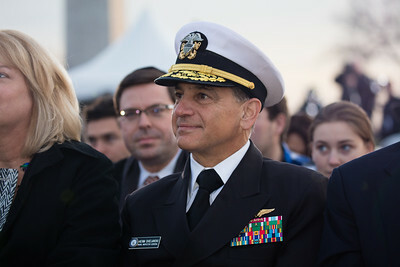 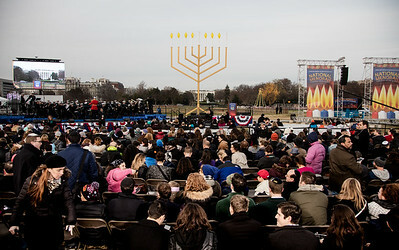 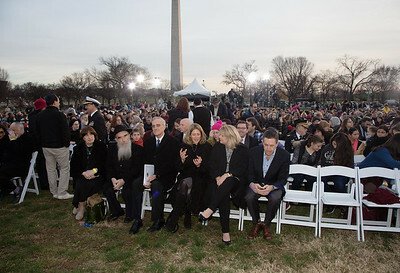 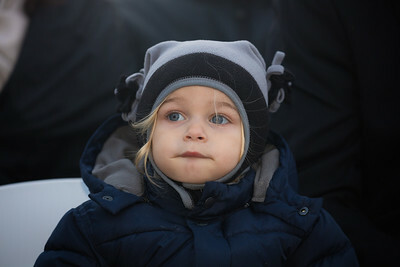 A record crowd attended the National Hanukkah Menorah lighting ceremony on the Ellipse, just across from the White House on the first night of the eight-day Jewish holiday. 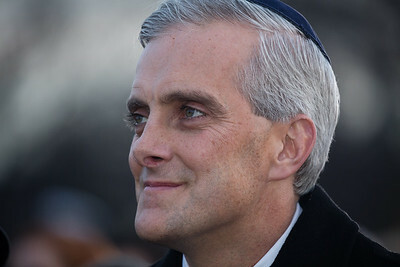 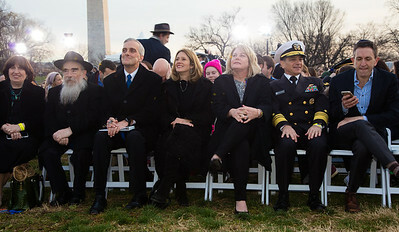 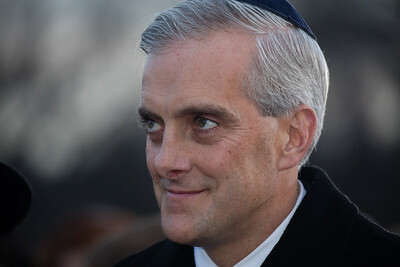 Candles were lit on Sunday Dec. 6, 2015 by special guest, White House Chief of Staff Denis McDonough. 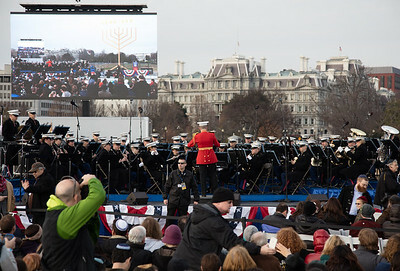 The "President's Own" U.S. Marine Band and "The Three Cantors" performed a variety of Hanukkah and Patriotic music and song, with a special appearance by Grammy Award winning Israeli violinist Miri Ben-Ari, and of course Dreidelman. 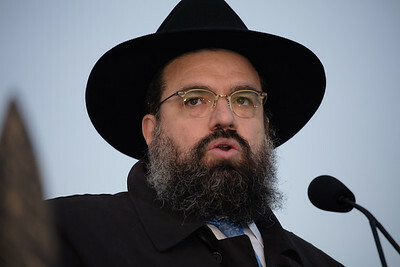 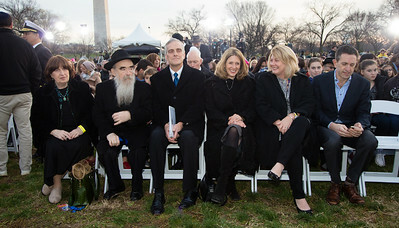 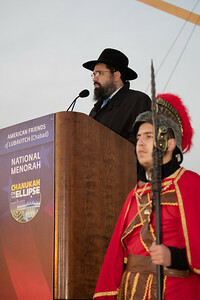 Rabbi Levi Shemtov, Executive Vice President, American Friends of Lubavitch (Chabad) served as master of ceremonies with remarks from Rabbi Abraham Shemtov, the National Director of that organization. 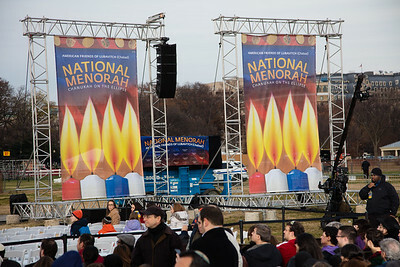 Leah Margolin and Chaya Citron read their award winning essays. 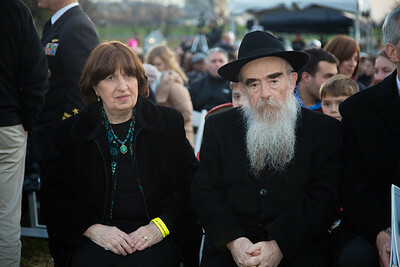 And a Hanukkah celebration would not be complete without potato latkes, which were served after the event. 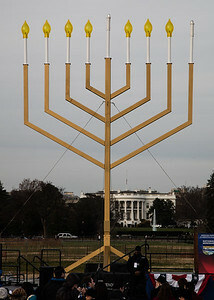 The National Menorah Lighting dates to 1979 when Jimmy Carter was president. 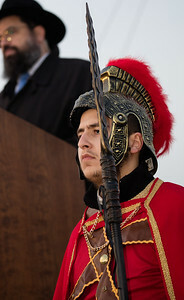 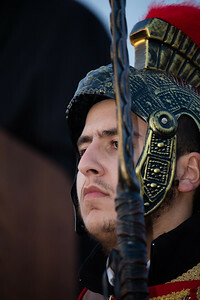 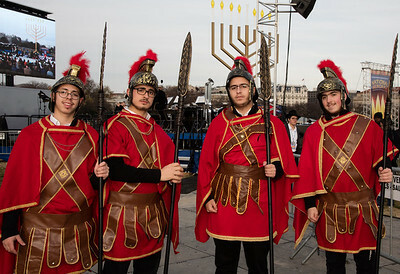 Hanukkah celebrates the Jewish Maccabees' military victory over Greek-Syrian oppression more than 2,000 years ago. 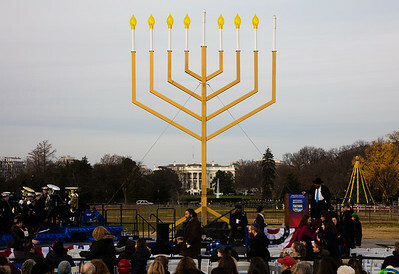 A candle is lit each night of the eight-day celebration, commemorating the miracle of one day's supply of oil lasting a full eight days in the lamp following the re-dedication of the Holy Temple in Jerusalem. 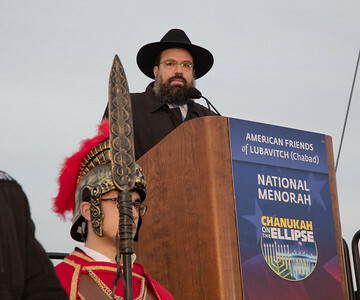 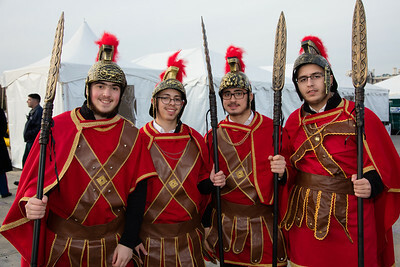 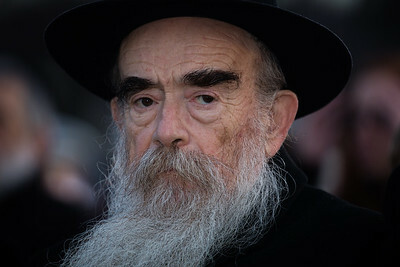 This annual event is privately funded and sponsored by American Friends of Lubavitch (Chabad).